Do you want to stop snoring? Snoring solutions are an ongoing medical challenge. At Skin Alert Cairns, Dr Candler is pleased to offer NightLase™, by Fotona, which is a new, safe, quick and effective snoring and sleep apnoea treatment. Fotona lasers are highly engineered systems and as a company Fotona have been behind many world leading innovations in laser medicine. 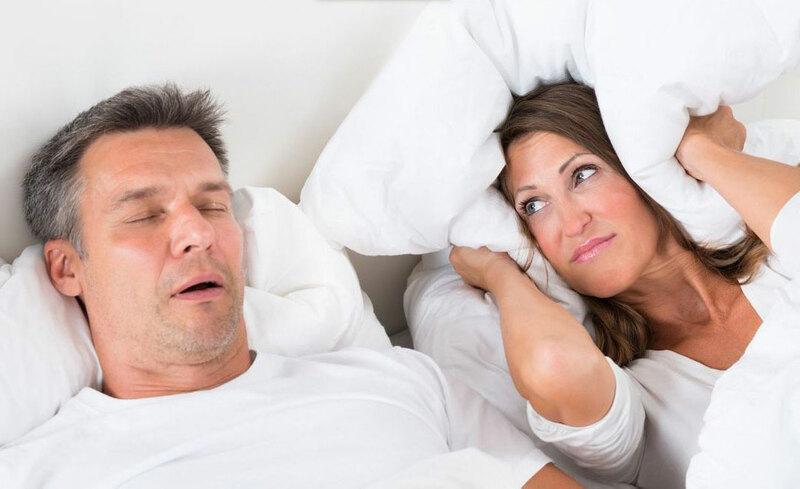 While snoring is well known to cause sleep disturbance to anyone within earshot of the snorer, studies have shown that snoring, and the resultant disruption to breathing called sleep apnoea, can also cause serious health problems. Sleep apnoea symptoms include chronic headaches, daytime sleepiness, irritability and decreased libido. Snoring and sleep apnoea have been linked with raised blood pressure, low oxygen levels, and significantly higher risk of heart attack and stroke. Snoring generally gets worse with age. Currently the most common prescribed treatment to stop snoring is to wear a complicated and expensive breathing appliance at night. This is not a cure at all, rather a temporary remedy which only works while being worn, and many people would prefer not to have to put up with that sort of device if there were an alternative snoring solution. When the snorer sleeps the soft tissue at the back of their throat is thought to relax and obstruct the airway, resulting in audible vibration of the respiratory structures. When the obstruction is severe, sleep apnoea results. NightLase™ is a new snoring solution which can improve the severity of snoring and sleep apnoea symptoms for most patients. NightLase™ works by heating the soft tissues in the oropharynx which stimulates collagen growth. This causes strengthening and tightening of those tissues and so reduces the obstruction that leads to snoring and apnoea. Treatments are quick, taking only around 30 minutes. While the treatment can be performed without anaesthetic, Dr Candler prefers to use a topical anaesthetic spray, which makes the treatment entirely comfortable. While there can be no guarantee of success for any individual patient, studies have shown that more than 80% of patients report a better than 50% improvement in their snoring after a course of NightLase™. Some are helped very significantly with only one treatment. It is a natural part of aging that tissues gradually lose their firmness, and this will continue to happen even after a successful NightLase™ treatment. Depending on the severity of their initial snoring problem, some patients may need to return for half yearly or yearly maintenance treatments that will prolong the results. Dr Candler has patients that are still happy with their results well over a year after their treatment. With topical anaesthetic spray NightLase™ is a comfortable snoring solution. After the spray wears off, the patient may experience the feeling of a mild sore throat, which usually lasts only a day or so. There is no other special preparation before the treatment apart from rinsing with mouthwash, and the patient can eat and drink normally afterwards. If you want a snoring solution please contact Skin Alert Cairns for an appointment with Dr Candler. Generally an initial appointment is made to discuss the procedure and to determine if it is the right treatment for you, and then, after that, the treatment appointment is made. However, some patients have already decided that they want to go ahead straight away if everything is ok for that , and if that is the case please indicate that when you call. You can look forward to restful sleep again for yourself and those around you. Three treatments are recommended, two to four weeks apart. If you respond very well to one or two treatments, that may be all you need. A further treatment may “lock in” the improvement for longer, but is not essential.